Renting a house saves you big bucks on vacation since it’s usually cheaper per night than a hotel. Plus, you have amenities like a washer and dryer, kitchen, full bath and maybe even a large backyard. However, that doesn’t mean your vacation home is perfect. Like any home, it’s susceptible to thieves, weather damage or other problems. Before you rent a vacation home, you should always ask what type of insurance the homeowner has. It’s also always a good idea to make sure the owner has a homeowner’s policy with liability coverage. Of course, you don’t plan to go on vacation to have a terrible time, but accidents, bad weather, and mistakes happen. Who will pay the bill if the home’s rotted stair railing fails, and sends you tumbling off the steps and into the ER? Can you afford to replace an antique vase you or one of your kids accidentally breaks? In most cases, the landlord’s insurance will cover these accidents. 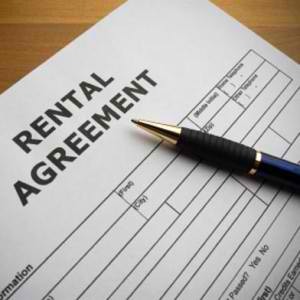 By asking if the home is covered before you sign the rental agreement, you will ensure you’re not left covering the bill that should be the vacation homeowner’s responsibility. Most homeowner and renter’s insurance policies cover your belongings if they’re lost, stolen or damaged. This coverage applies whether you’re in your home, at school or on vacation. Before you sign a lease agreement, make sure the home and your possessions are insured, by double checking your policy before you travel. Contact us today at 860-589-3434, to speak with an insurance professional to review your policy and determine if you need additional coverage.